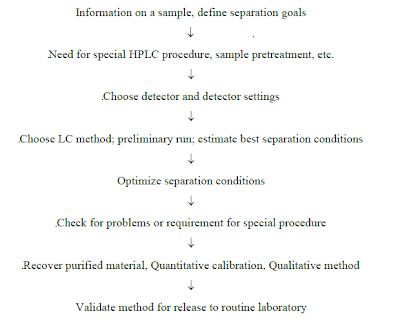 This is Pharmacy project on method development, validation and its application for simultaneous estimation of amlodipine besylate and olmesartan medoximil. Amlodipine Besylate (AMLO) and Olmesartan Medoximil(AMLO)combination was given approval by Central Drug Standard Control Organization (CDSCO) on 15th October 2007. On literature survey, it was found that very few methods have been reported for simultaneous estimation of Amlodipine Besylate and Olmesartan Medoximil. Therefore, it was thought of interest to develop simple, accurate, precise, sensitive and economic analytical methods and validate as per ICH guideline. You can also Subscribe to FINAL YEAR PROJECT'S by Email for more such projects and seminar. 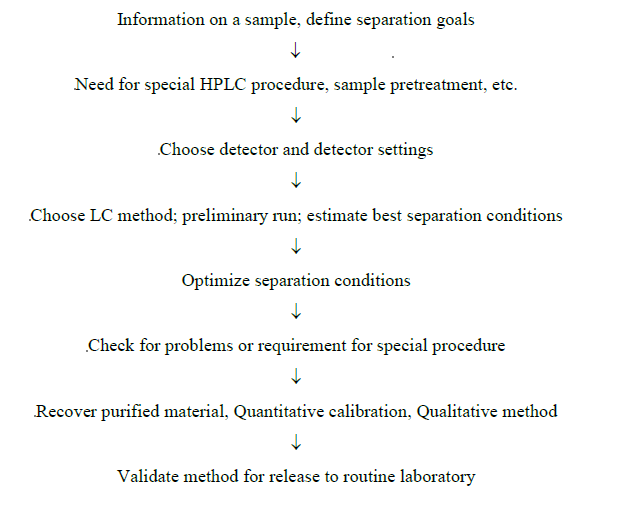 Above shown are critical steps for HPLC method development. For spectrophotometric methods, linearity range was taken 2.5-12.5 μg/ml for Amlodipine Besylate and 5-25 μg/ml for Olmesartan Medoximil. Assay results of the marketed formulation were shown that % label claim of Amlodipine Besylate was in the range of 98.3-101.3% and % label claim of Olmesartan Medoximil was in the range of 98.3-101.1%. % recoveries of Amlodipine Besylate and Olmesartan Medoximil were obtained in the range of 98.13-102% and 98.86-101.60% respectively. Hypertension is Regarded as the Silent Killer. It is a Disease of the modern age. Hypertension, most commonly refers to as “high blood pressure”, is a medical condition in which the blood pressure is chronically elevated. It was previously referred to as arterial hypertension, but in current usage, the word “hypertension” without a qualifier normally refers to arterial hypertension.